It feels like ages since I updated my blog or maybe I just have too many things on the go! Who knows... I'm working on Easter DIYs. 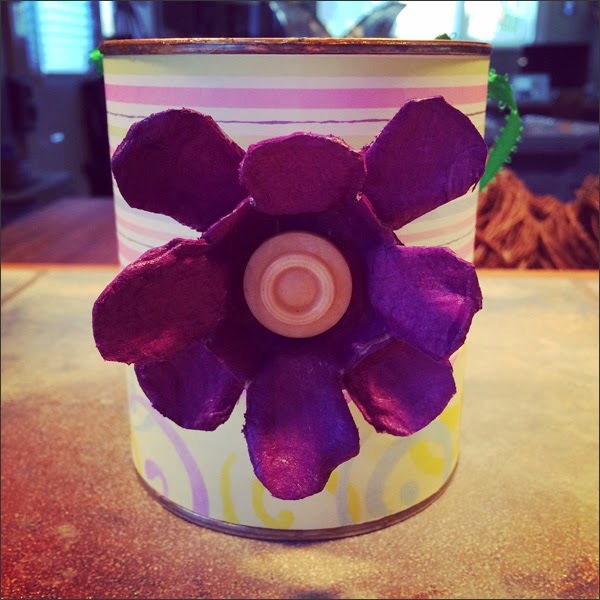 This was initially for the City of Richmond Easter Crafternoon. I might include it for the Easter upcycling workshop with the North Vancouver City Library. 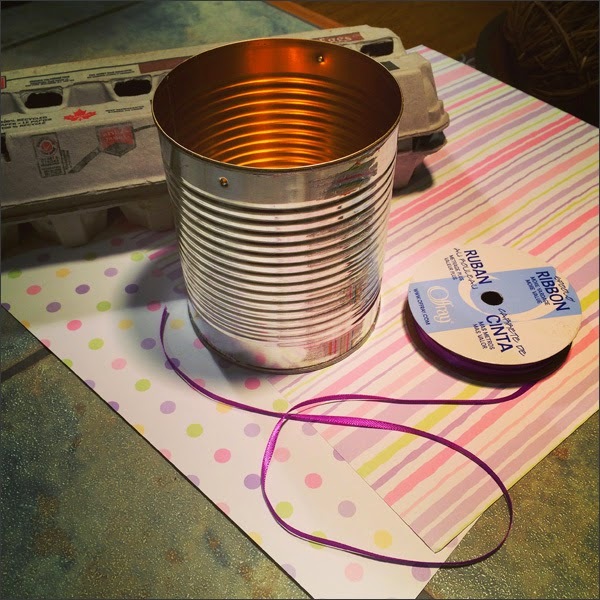 Nothing says fun like repurposing tin cans! First was adding holes. Apparently it's best to add water to the can then freeze then nail holes in the tin. 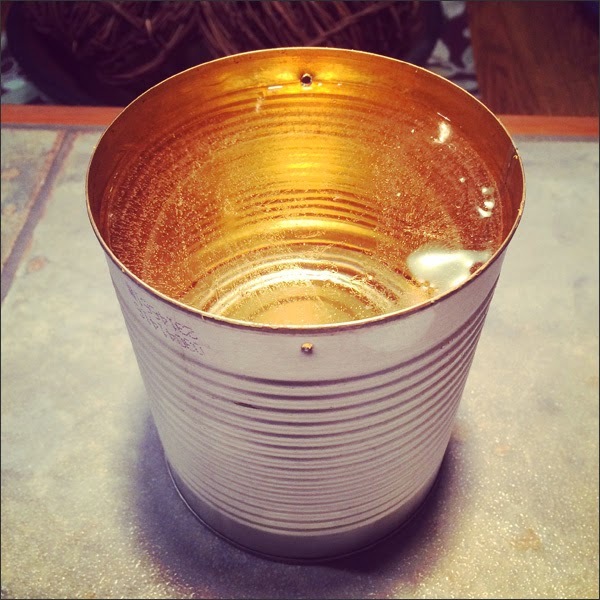 You avoid denting the tin can. So that's what I did! 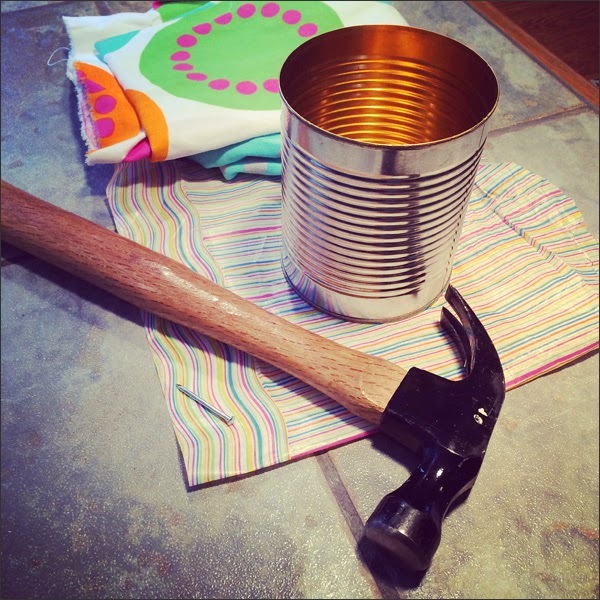 It's true - super easy to puncture holes without recking the tin can. Kewl! Next was adding paper to the outside. 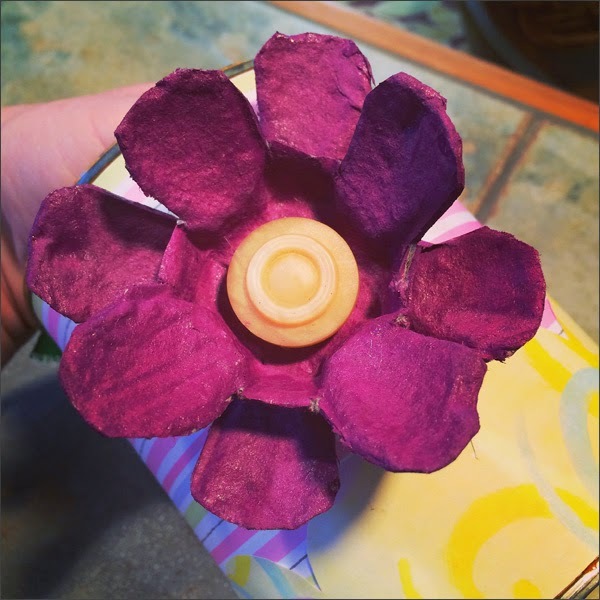 I also wanted to add an egg carton flower. Nothing like adding glue then funky paper and then a ribbon to create an uber cute Easter basket! 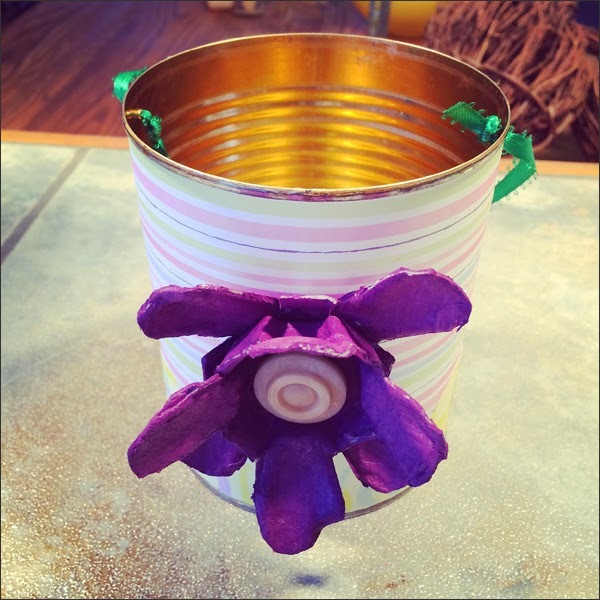 And then my purple egg carton flower with a button for the middle. It turned out alright... Good enough for a first effort. Love the flower! 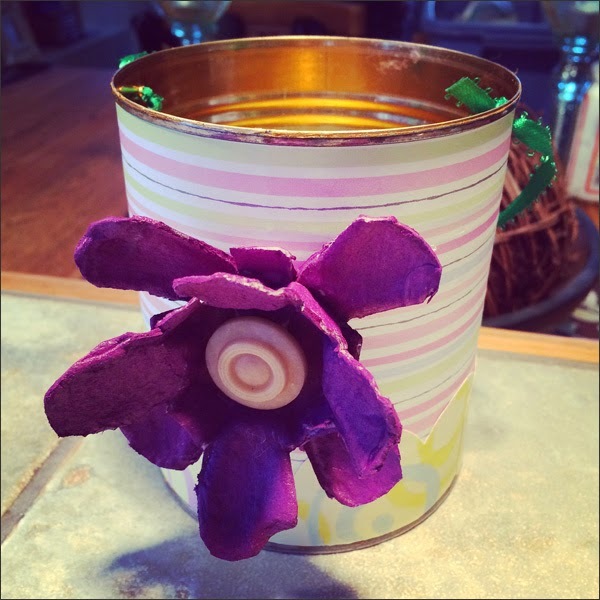 Egg cartons are awesome to craft with! And the vintage button is perfect for the middle! Thank you Lions Gate Thrift Store! 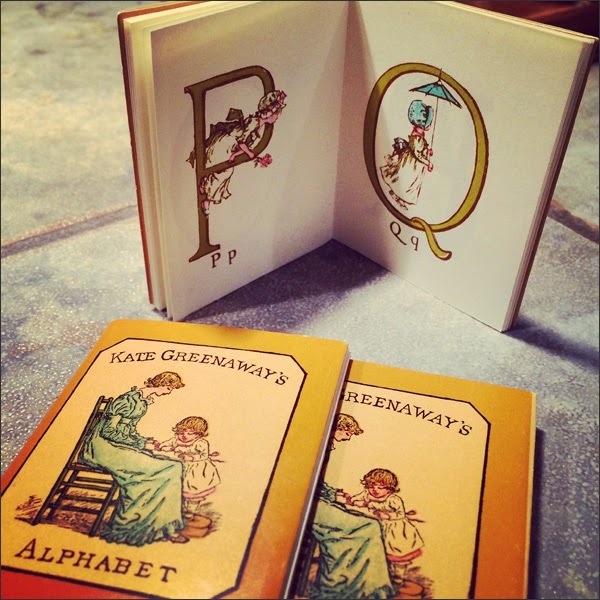 I also found this alphabet book. I picked up 3 for $1. I thought the illustrations would be fun to add to Easter DIYs. Hope to make more samples for the Easter Crafternoon on March 28th from 1:30pm to 3pm at the North Vancouver City Library. Can't wait to craft with my NVCL peeps!